August 28 . . . MLK's dream lives on! Today was supposed to be the big day in Washington, D.C.: dedication of the new Martin Luther King National Memorial on the Mall. Postponed by a hurricane named Irene. But the Memorial is up, a new mecca for visitors. I’ve added it to the long list of reasons to revisit Washington one of these days. Forty-eight years later, I can still hear Rev. 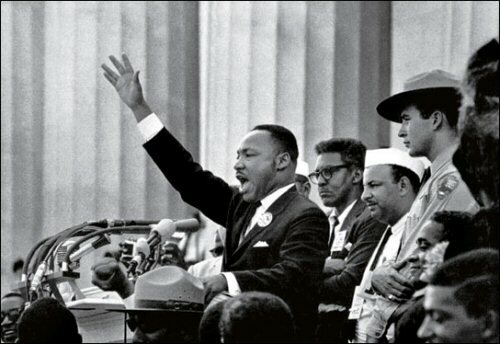 King’s “I Have a Dream” echoing over the Washington mall. I didn’t make it to D.C. that day – I was off in backroads Colorado . . . actually I was on the road, wending my way over a narrow mountain pass en route home, listening to the March on Washington on the radio. If you have a few minutes today, take time to read that great speech. Here's a link to it.